ca. 530 - 500 B.C. 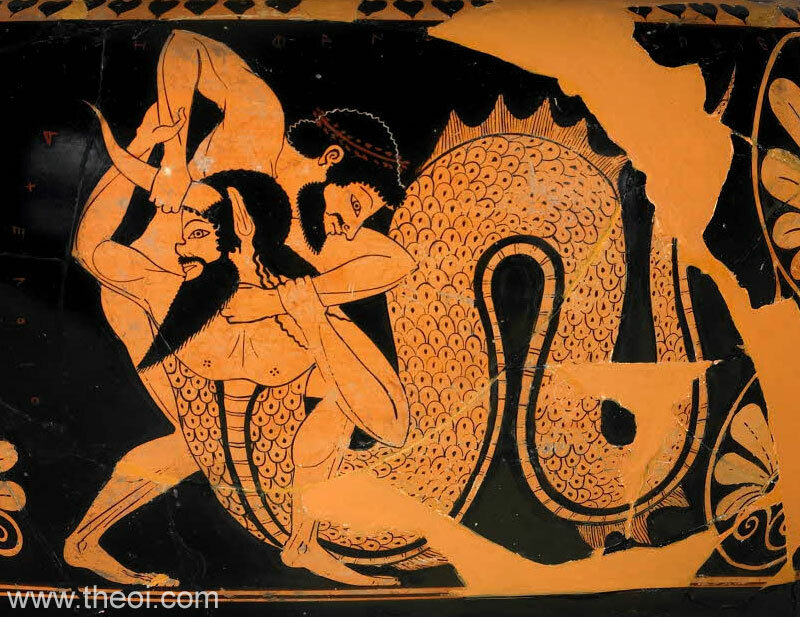 Herakles wrestles the river-god Achelous grasping him by the horn. The aquatic deity has the head, arms and breast of a man with a coiling fish-tail in place of a lower torso and legs. He is crowned with a bull's horn and has the pug-nose and animal-ears of a Satyr.